Фотобанк РОСФОТО - микросток. Лицензионные Фото, Видео, Музыка - Set of road signs. Signboards. Set of road signs. Signboards. L 2000 x 1592px 8 Mb. XL 6000 x 4777px 15 Mb. 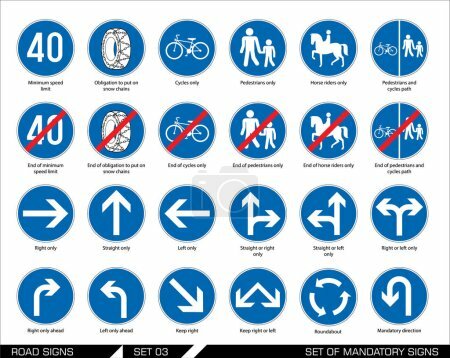 Collection of mandatory traffic signs. Vector illustration.